New York Knicks superstar Carmelo Anthony wore a much-improved version of his seventh signature with the Jordan Brand during their NBA playoffs stint. 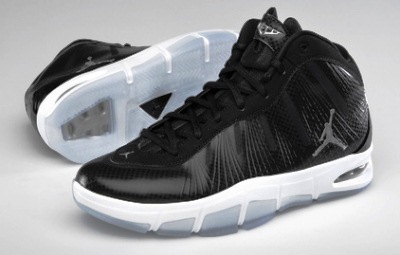 And today, it is your time to witness and experience the tweaked edition of the Jordan Melo M7. Called the Jordan Melo M7 Advance, this new edition from the Jordan Brand will give you superb comfort and will give you a huge boost inside the hardcourt because lightweight design, which was a personal request of Anthony himself. The advanced edition of Melo’s seventh signature shoe will come out in Black/Metallic Silver-White colourway this Saturday. Don’t think twice and grab one immediately!